There are plenty of products on the market that can help your home run smarter and more efficiently. Unfortunately, those products have typically come with a pretty steep price tag. 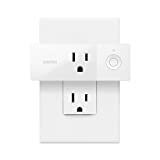 The good news is that more and more smart home gadgets are being introduced to the marketplace at an affordable price point, promising real benefits to energy usage and security. Here are the top ones that you can find for under $200. Quirky’s products are known for innovation, and their Tripper window and door sensors are no exception. 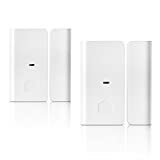 These slim-profile sensors, sold in a two-pack for $50, can be installed on doors, windows, pantries or medicine cabinets. When used with a Wink Hub, which Quirky sells for $50, the sensors will send an alert directly to your phone whenever a door or window opens or shuts. 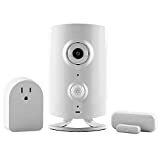 For the ultimate monitoring of your home, turn to Piper, a home security system with motion and sound detection, a 105-decibel intruder deterrent siren, and fully customizable security modes. 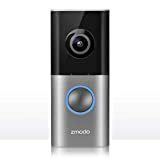 The webcam runs on AA batteries and can detect changes in light, sound and motion while also monitoring temperature and humidity. The device can send alerts through text messages, emails, and phone calls. 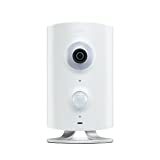 It can also be linked to the wide array of Z-Wave home automation accessories. All this for a cool $199. Belkin’s WeMo LED Lighting Starter Set uses special bulbs that you can access and control from anywhere. 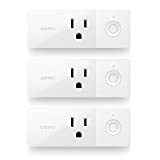 The set sells for $99.99 which includes two Smart LED bulbs and a WeMo link which can connect to up to 50 bulbs. The bulbs cast a light similar to a traditional 60-watt incandescent, but they only consume 10 watts of energy while consuming very little heat. With the free WeMo app, you can create custom schedules for the lighting in your home, either individually or by room. You can even dim the lights in the room directly from your smartphone, or use the sleep feature to gradually dim the lights as you prepare for sleep until they’re completely off. Forget the peephole, the DoorBot lets you not only see who is at your front door, but communicate with them as well. 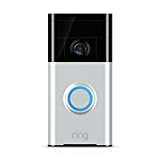 The $199.99 DoorBot is a WiFi-enabled video doorbell that interfaces with your smartphone or tablet to let you see and chat with your visitor, whether you’re in your living room or in another country. It even has night vision for around-the-clock coverage. The DoorBot can be integrated with Lockitron, allowing you to unlock your door remotely. For more home automation ideas to find the best home automation systems check out Modernize.com!